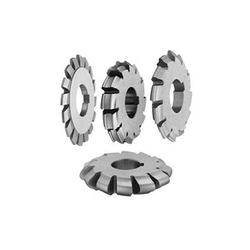 Our professionals manufacture these Gear Milling Cutters in accordance with the industry set norms and parameters using cutting-edge technology.Highly demanded in the market, convex milling cutters are used to produce concave radius in engineering industries. Maxwell is one of the highly sought after Involute Gear Cutters (Gear Milling Cutters) Manufacturers and Exporters in the industry. We deliver only superior quality and our supremacy is its live testimony. The prices of our Involute Gear Cutters are quite competitive; further attracting the customers from all over the world. 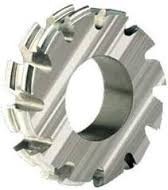 We are engaged in offering high quality Gear Milling Cutters to our customers. A. H. Taher & Co.
Keeping in mind the ever-evolving needs of our clients, we are devoted towards offering an optimum quality array of Gear Milling Cutter.